Back in June I shared some tips on how to create an editorial calendar for your email list. 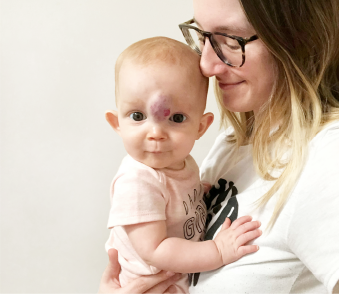 In May I talked about why you don’t necessarily need one. However, what if you’re ready to start a list or take charge of the one you’ve been halfheartedly building for a while? There are a ton of posts online about how to grow your email list “fast”, but those posts are skipping the important first step: creating a plan. Why are you starting a list? “Because everyone says I should have one” isn’t a good enough answer here. You really have to think about why you’re starting one before you get going. This will help you get an idea of what sorts of emails you’ll be sending, how often, and even what style of template you may need to use. Your response might be something like, “to send my blog posts via email,” “to promote my services / products,” or “to build a community”. Any of these are fine, but be honest with yourself on why you’re starting a list. Don’t just do it because it’s an internet “rule”. Who is your list for? 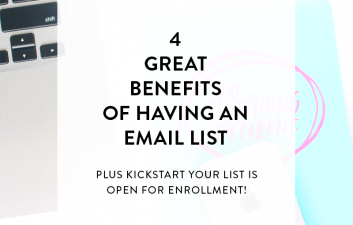 Before you can start sending emails, you have to know who you’re creating your list for. 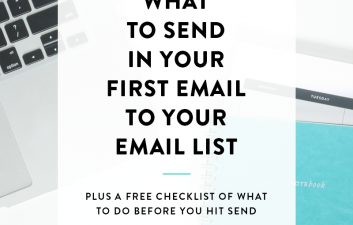 If you’re starting a list to send your posts via email, this question isn’t ask important because obviously your list is for people who want to receive your posts in their inbox. If you’re starting for any other reason, really dig in to who your audience is or who’s already on your list. Send a survey to your readers / subscribers and get to know them. To provide the best content, you have to know who your audience is and what they need from you, which leads me to my next point. How will you provide value? I’d like to beat around the bush here, but I just can’t: if your emails have no value, no one is going to stay on your list. You have to figure out how you’re going to share valuable content with your list if you want to start or grow your list. My two favorite ways to do this are: through my free opt in incentive + exclusive content. For a while I struggled with my email list, but since I’ve started writing exclusive letters, I’ve seen my list grow and my unsubscribe rate slow down. 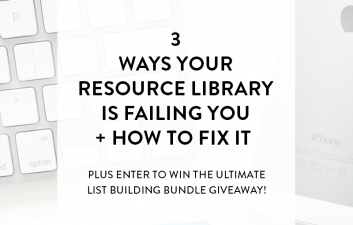 When + how often will you email your list? One of the other keys to maintaining and growing your list is consistency. I can’t tell you the number of times I’ve subscribed to a list, not received anything for months, then randomly get an email and immediately unsubscribe. If you want people to stay interested in what you have to say and sell, you have to be consistently writing to them! If you’re just starting your list and can’t imagine adding more content writing to your schedule, plan to write 1-2 times per month. If you’re a seasoned blogger with lots to share, write once per week (at most). After you’ve figured out that side of the schedule, experiment with what day and time your letters will go out to see what works best for your list. Taking charge of your email list is not impossible, and it’s also not impossible to start a list and see some killer growth in your first couple of months. It’s all about having a plan in place and following it to see success! 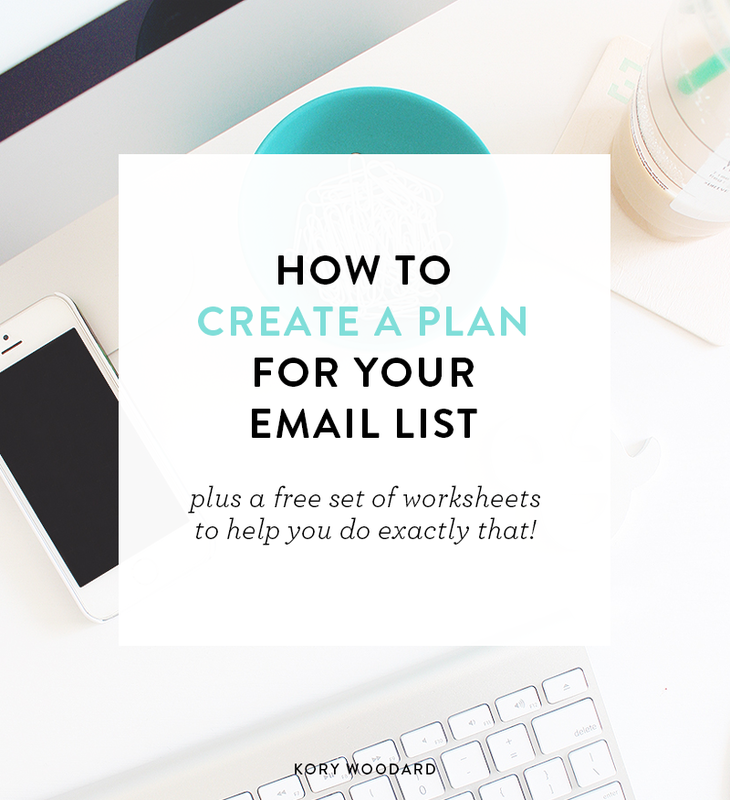 Need help creating your email list plan? Download the free worksheet below + receive a bonus list of 7 tried and true ways to grow your list whether you’re a seasoned writer or a newbie to the newsletter world! 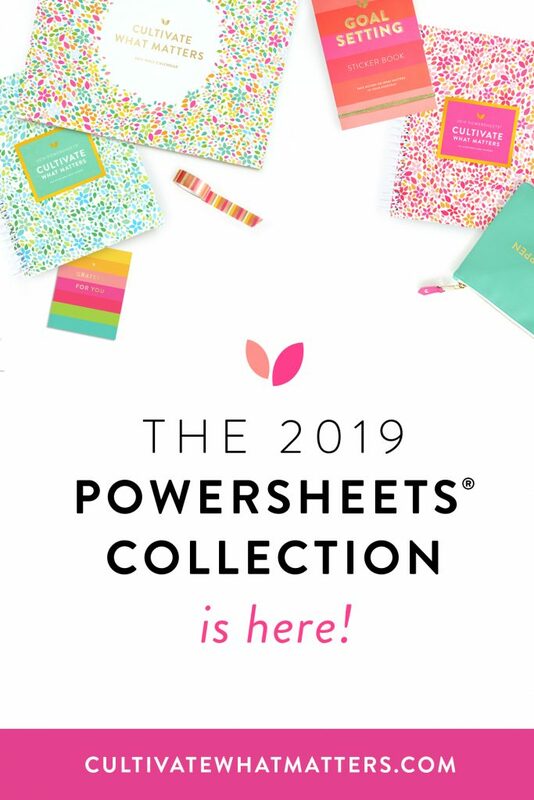 Download The Email List Plan Worksheet + get your free bonus! Thanks for this Kory! So glad someone’s finally come to this bit – it’s so important to have a plan! I’m currently really struggling with content ideas for my email list, but I’m definitely a believer that it’s best not to send anything at all rather than send something out that’s less than your best. Yes – content ideas are a big struggle. I know a lot of people have a hard time with that since they’re already cranking out content for their blog. I like to sit down and brainstorm ideas every couple of weeks just like what I do for my blog. Then I add the topics to a calendar so when writing time comes around, I’m not just sitting with a blank screen.